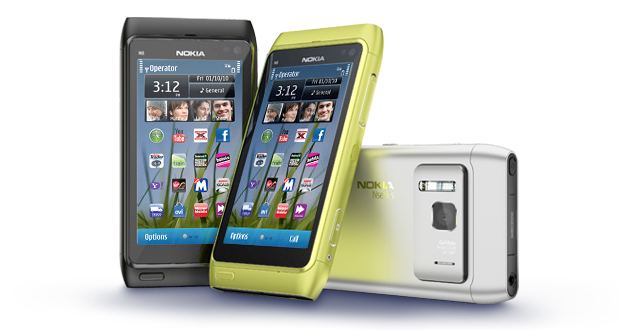 NOKIA N8 Multimedia SmartPhone ~ " World Information "
Nokia smartphone already has a reliability of each product. some smartphones, launched usually focus on several goals, such as for office work, multimedia, entertainment and so forth. but this time, Nokia released a smartphone that is a mainstay in 2011. namely Nokia N8. Nokia flagship smartphone on the multimedia side, using symbian version 3 which has the ability that has been corrected in the performance. This is probably one of the shortcomings of this product which if compared with the development of smartphones, today the average has been applied in the use of android or windows operating system. That deficiency may be eliminated because many of the features covered by seeded and assessed very spoiled user. One of the displays are embedded camera at 12 megapixels, and with a second camera used for video calls using a vga camera. The main camera features, autofocus and face detection, and use the 16:9 format that is currently popular as a multimedia standard. Other than that the camera used carlzeis also assisted with xineon flash that will illuminate the object to be captured. For connectivity this smartphone using a variety of slots that can be universal and suitable for use in a variety of common devices, the HDMI slot that serves to display on the monitor screen HDMI classmates. Earphone jack are already using size 3.5 mm. for all its technical features can be seen as follows. * Screen size: 3.5 "